There's always a trepidation of excitement in the dance world at the prospect of a brand new full-length ballet, especially when it's being created by master choreographer David Bintley. 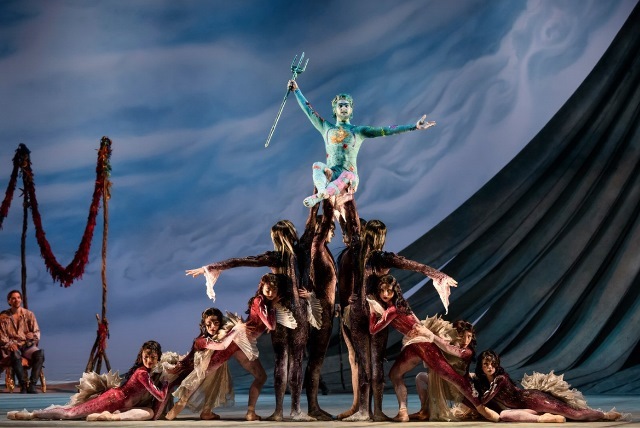 Bintley's latest work for Birmingham Royal Ballet (BRB) is The Tempest, to coincide with a year of special commemorations to mark the 400th anniversary of Shakespeare's death. Conjuring up the magical world of Prospero and his remote island where he plots to bring revenge on those who wronged him and his daughter Miranda has taken effort that apparently saw some of the ballet principals learning "how to fly" and use puppets. It starts and ends spectacularly, it's just what was in between that wasn't so dramatic. 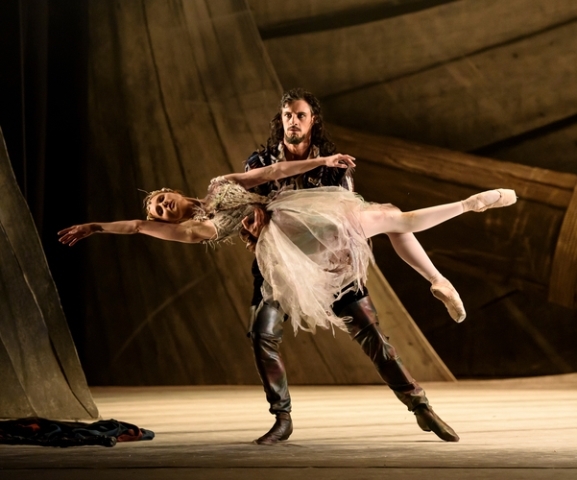 The Tempest by Birmingham Royal Ballet opened at Birmingham Hippodrome, where it stays until October 8, and then goes on to tour at London's Sadler's Wells Theatre, the Sunderland Empire and Theatre Royal Plymouth. It opens with full force in the midst of a tempest with a sparkling small ship and spirit Ariel (Mathias Dingman) flying around a shimmering blue screen. This staging alone has the tell-tale signs of Bintley, who was also behind BRB's wonderful Cinderella production. It moves quickly board the ship that will bring the enemies of sorcerer Prospero to the remote island where he lives with daughter Miranda, his slave Caliban and magical Ariel. Wild waves are created cleverly from huge swathes of material, but before you get too excited, this ends up being the highlight of the set design. Bintley had said that he had been searching for 30 years for his dream team to make this ballet a reality. That team is acclaimed composer Sally Beamish and designer Rae Smith - who was responsible BRB's The Prince of the Pagodas. With that in mind, I was surprised that the set design by Smith was so simple and plain, a stage awash with dull brown. It lacked the magic associated with the island and also previous Bintley grandiose theatrics. 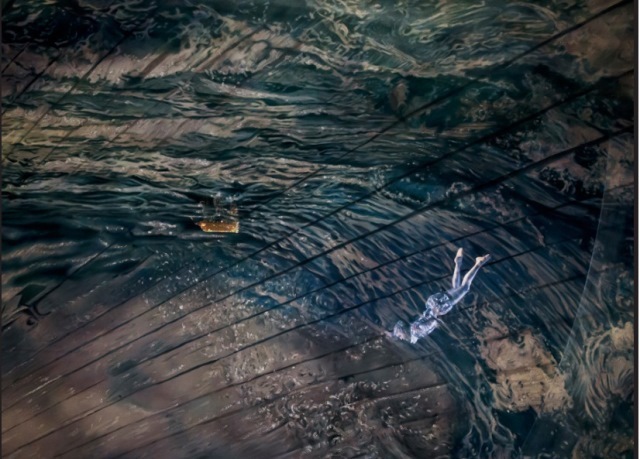 It was only the opening and closing scenes featuring waves and star lit skies that offered the sumptuous surroundings that BRB audiences have become accustomed to. Moving on to the second of Bintley's wish list - Beamish's music - this was suitably dramatic and dark and reflective of this tale about love, loyalty, and loss. But the soundtrack often seemed at odds with the choreography and didn't seem to gel enough. Although there was plenty of interpretive dance, there didn't seem to be enough pas de deux or individual dance sequences to take the breath away. Bintley had the extremely talented Iain Mackay as Prospero and Mathias Dingmas as Ariel, but they seemed to spend more time posing and strutting than impressing with their dancing ability. It was a great shame. Don't get me wrong, there were moments that shined in a production packed with superb choreography. 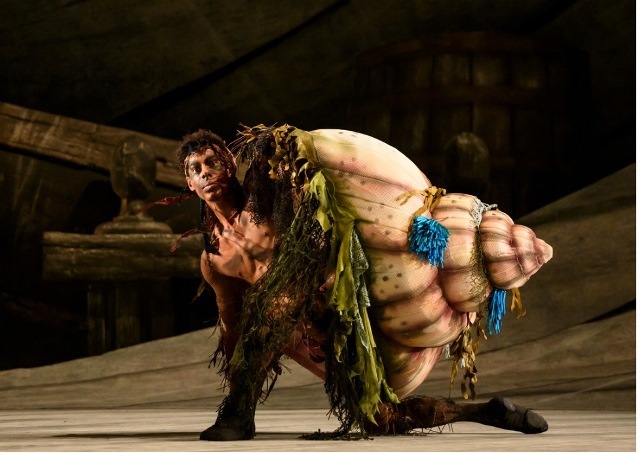 Dancer Tyrone Singleton as Prospero's slave Caliban was excellent with his sections most in line with the music. 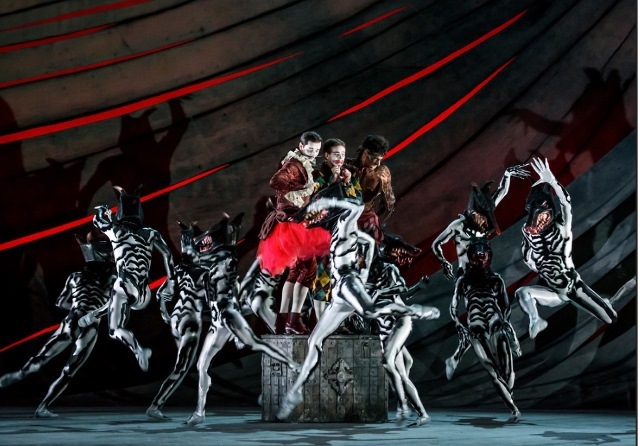 The sequences involving the lovers Miranda (Jenna Roberts) and Ferdinand (Joseph Caley) are dreamy and superb and the highlights of this new ballet, providing glimmers of the romantic choreography that has made Bintley so renowned. Amid a production of highs and lows, what sustains itself the most are the costumes. With stunning detail, they bring to life this great Shakespeare story including goddesses to mariners and sea nymphs. Unfortunately, I think it's the story that has sadly weighed Bintley down as it's a complicated beast. Earlier this year, BRB performed the excellent Taming of the Shrew ballet, which in comparison was far more impressive, for Shrew contained choreography that perfectly explained the characters and plot alongside a wealth of memorable dance routines. While The Tempest is enjoyable enough with striking moments, it's far from being named one of BRB's best and left me feeling somewhat disappointed. Visit the BRB website for more booking details or the theatre websites below. For tickets visit the Hippodrome website.